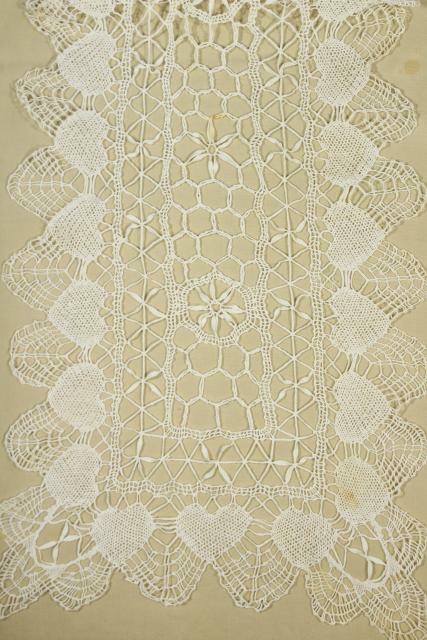 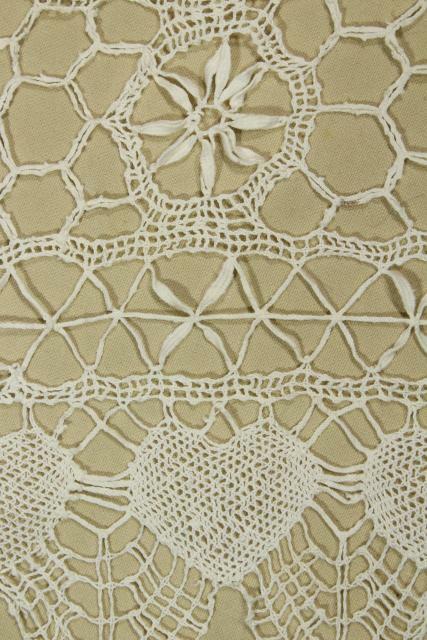 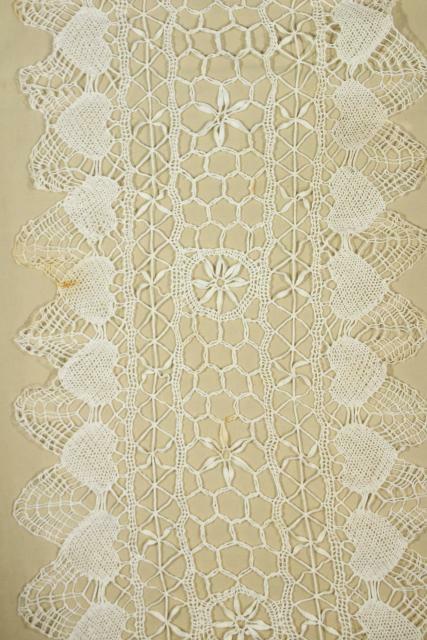 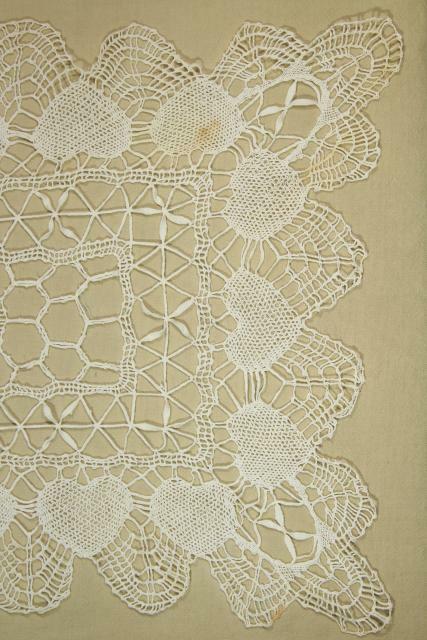 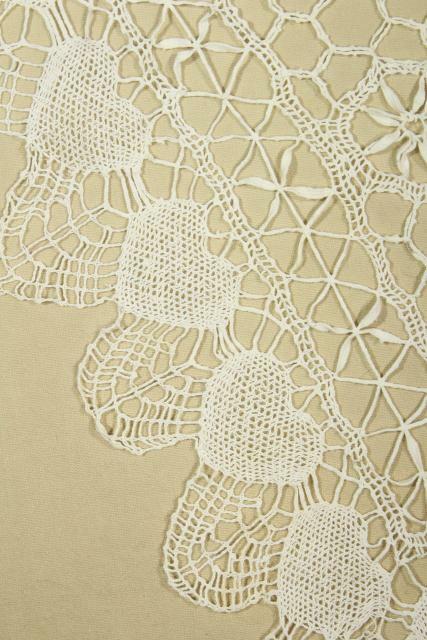 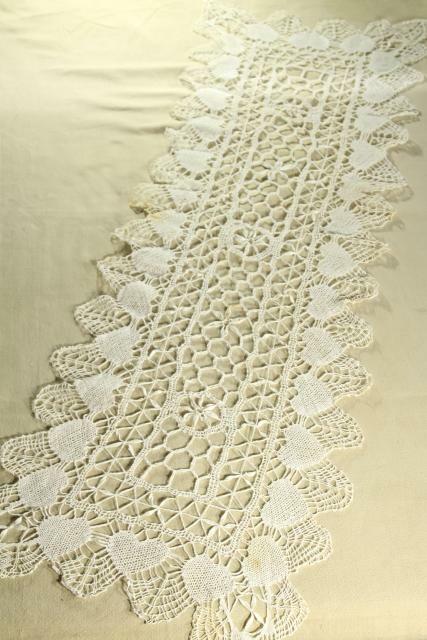 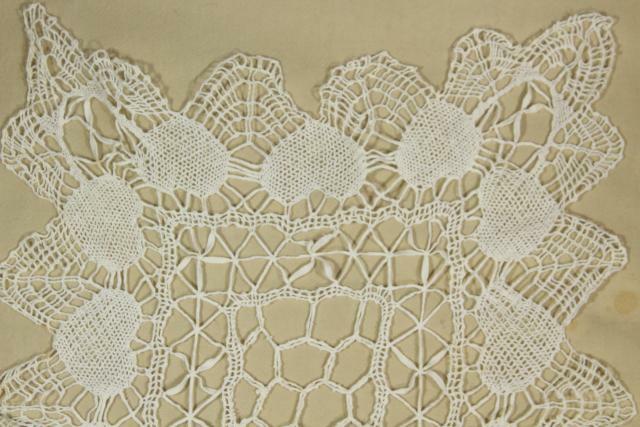 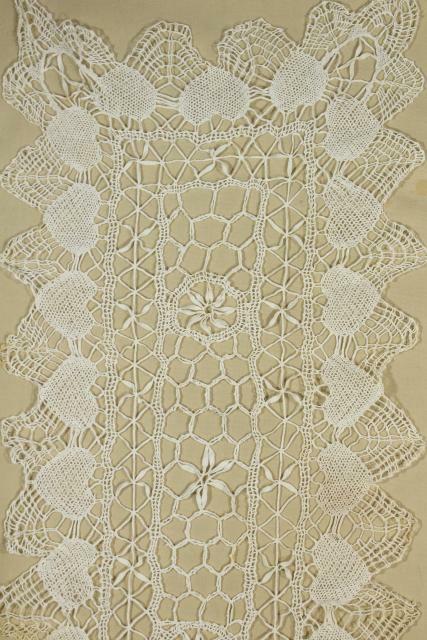 Heart bordered handmade lace table runner for Valentine's day or a rustic 'vintage' wedding! 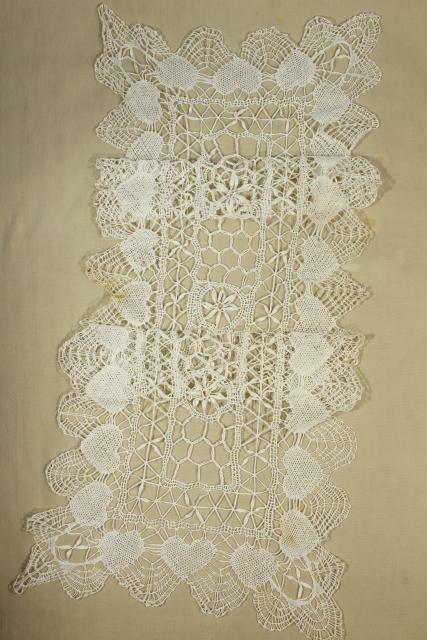 This measures about 42" long x 14 1/2" wide. 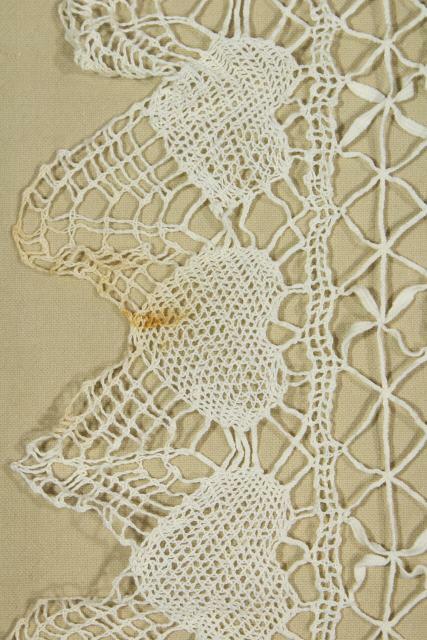 We saw a few rust brown colored spots, but overall it's nice and white without yellowing.